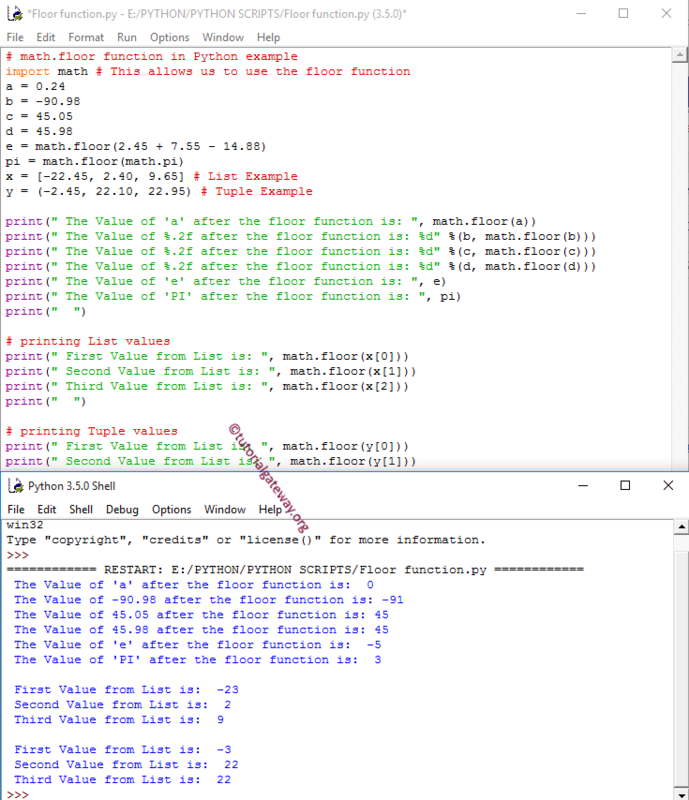 The python math.floor function is one of the Mathematical Function available in Python math library. This python math.floor function is used to return the closest integer value which is less than or equal to the specified expression or Value. In this article we will show you, How to write floor Function in python programming with example. The floor Function in Python is used to return the closest integer value which is less than or equal to given numeric value. The following query will show you the multiple ways to use this python math.floor function. Below lines of code is used to declare variables and assigning the value.